The Smok’d Hog was a welcome assignment for me! 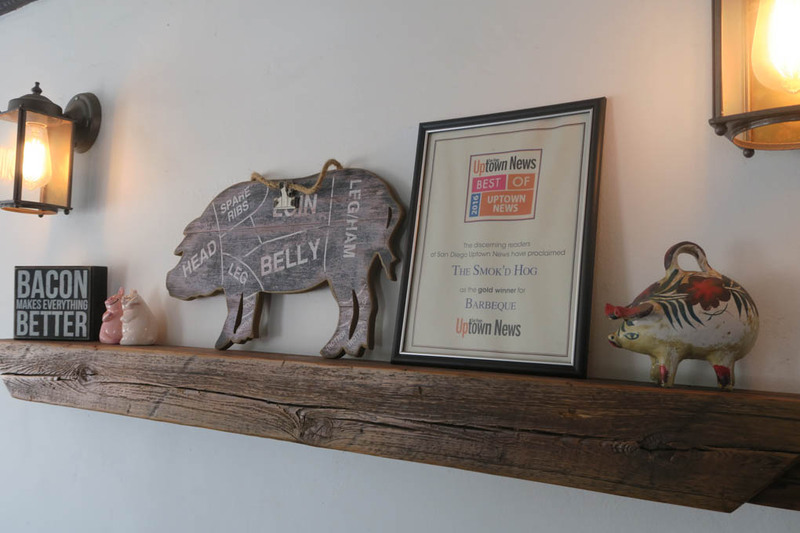 Not only is it a debut experience, but one that allowed me to savor my all-time favorite BBQ variation. That variation is known as Carolina Style and they use a mustard based BBQ sauce on their meats. I enjoy all types of BBQ from all regions, but Carolina is where my heart and stomach lay! 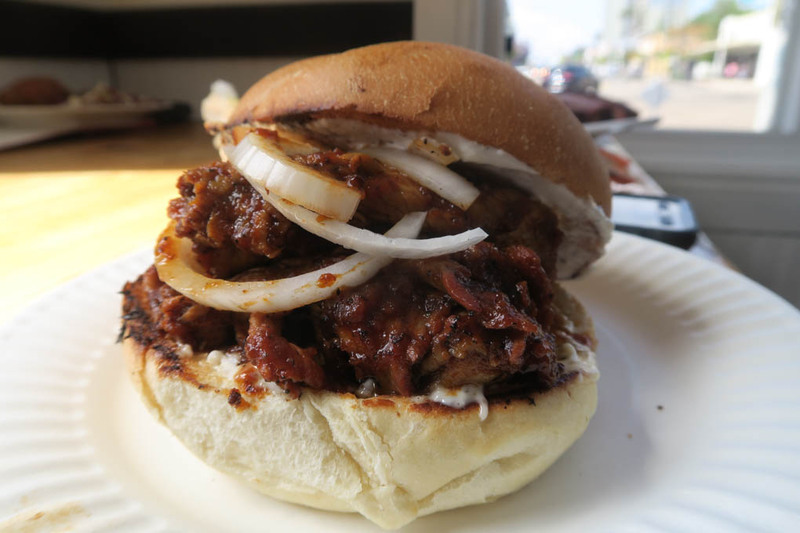 So, let me take you on a meaty journey of BBQ deliciousness! 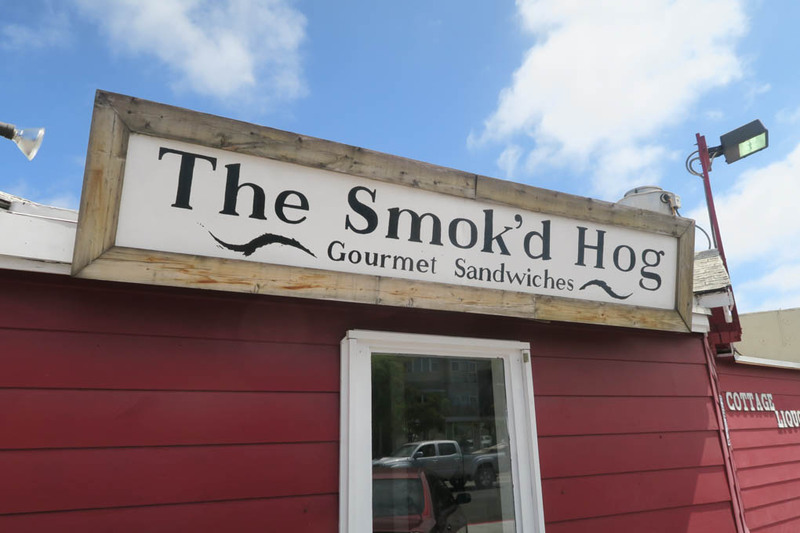 The Smok’d Hog is an American regional smoked sandwich shop. 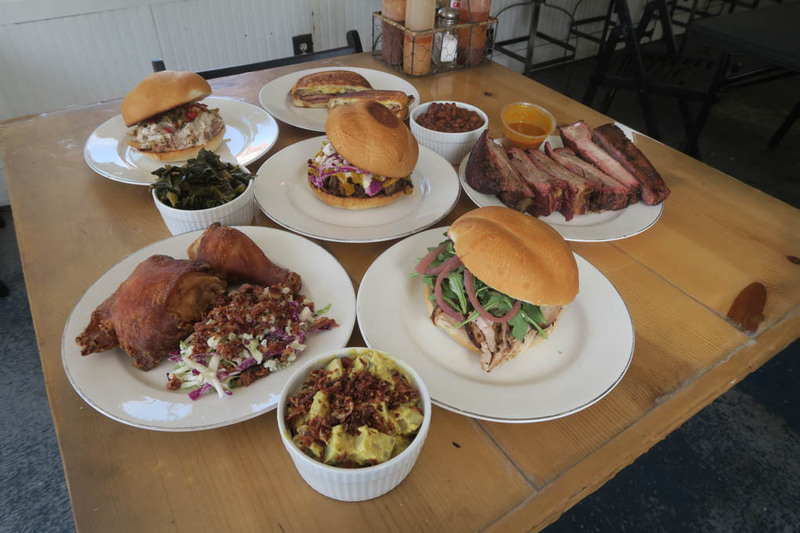 Their meats and sides will remind guests of their family’s home cooking; be it Texas, the Carolina’s, Kansas City, or Memphis. 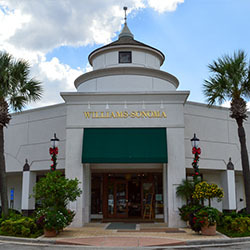 Get ready for an experience of culinary nostalgia that hits all your senses from the moment you walk in until you leave! 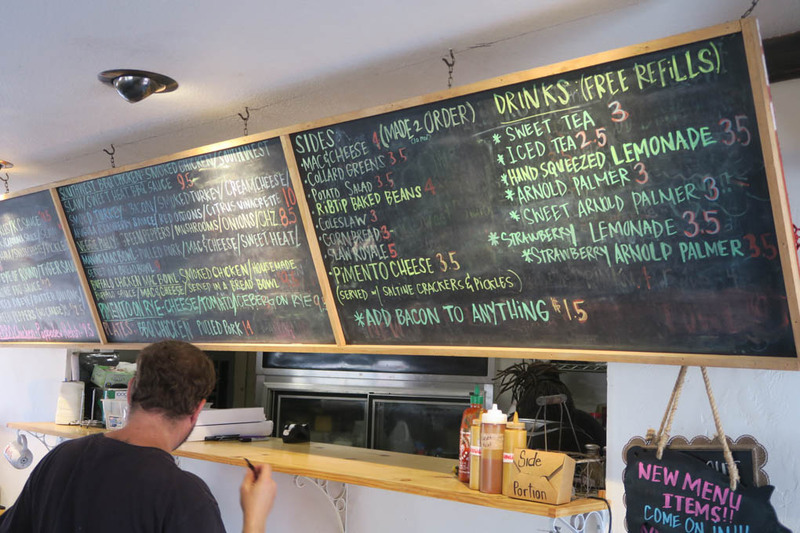 All their food is scratch-made and smoked in house. 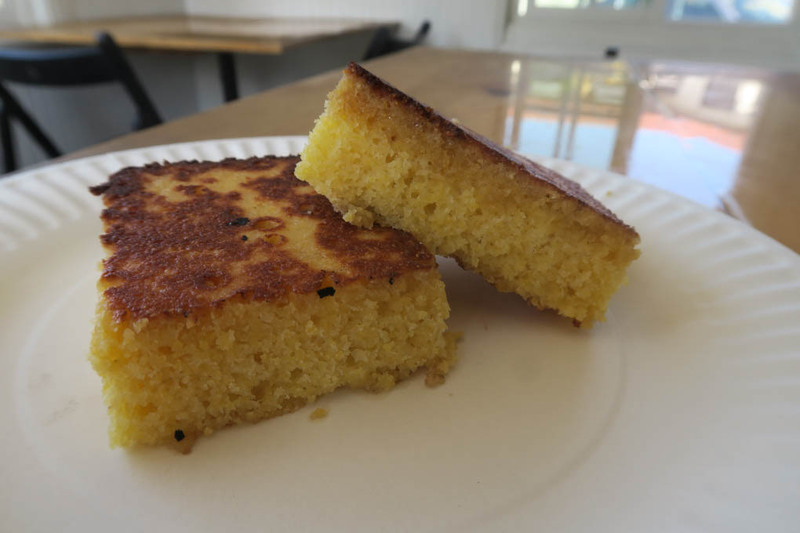 In addition, the soft sandwich “bolillo” rolls are brought in daily from a local bakery that’s been in business for decades! 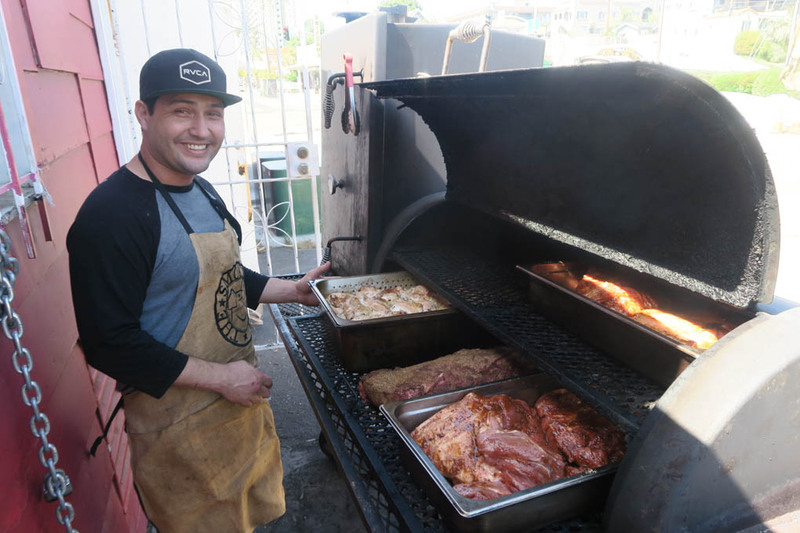 Let us begin on this gastronomic adventure through all things meat, BBQ and tastiness—guaranteed to leave you yearning to smell and taste everything they have to offer! 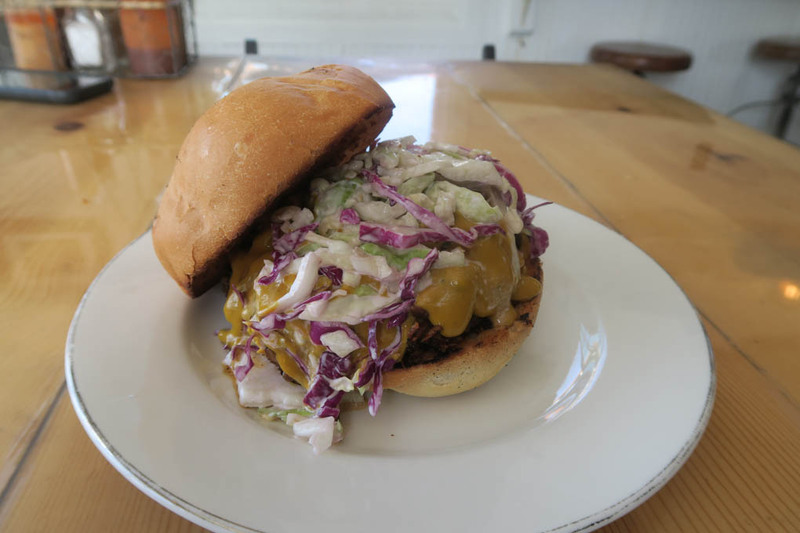 I began with the Carolina Gold Pulled Pork Sandwich which consisted of pulled pork, mustard BBQ sauce, and coleslaw. This combo of amazing ingredients says it all. 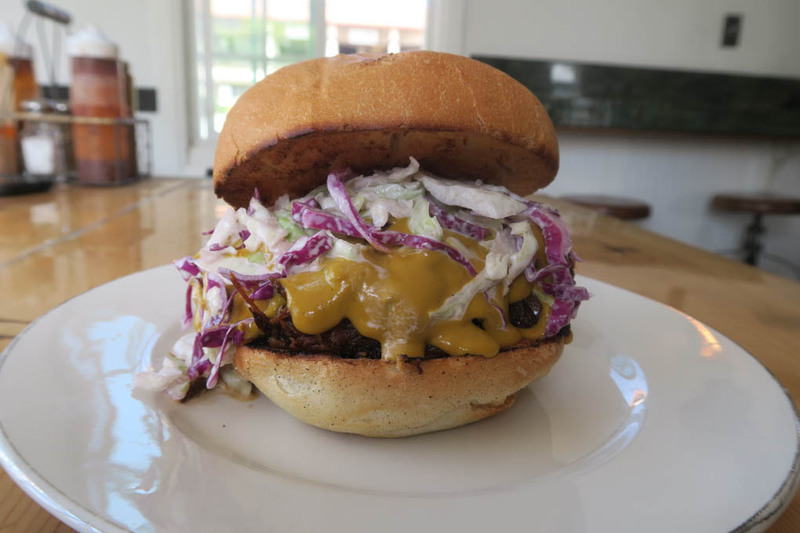 Succulent pulled pork covered in just enough of their killer mustard sauce and topped with a tangy, zesty coleslaw between the soft bun will have your mouth dancing with flavor! 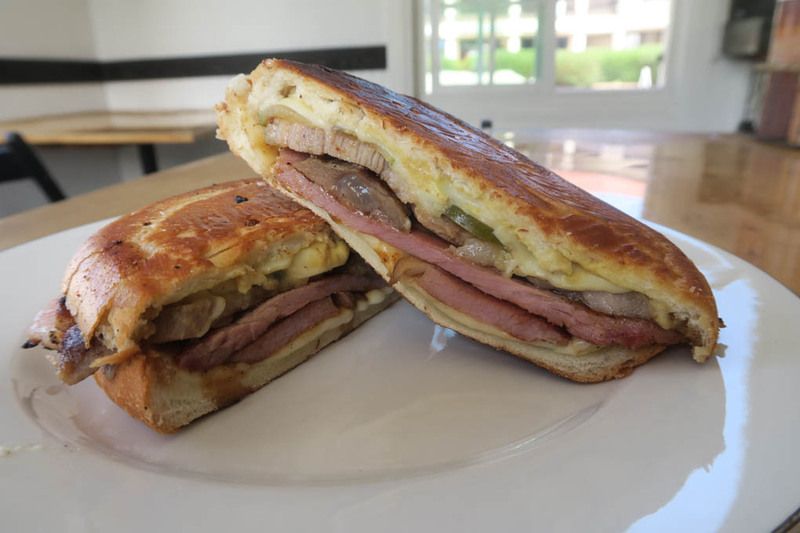 Next was the Cubano. This one surprised me the most! The simple nature of this sandwich is what allows the flavor to punch through. Grilled pit ham and pork shoulder are the key ingredients with this sandwich. Stacked with a house brined pickle, Dijon mustard and melted swiss cheese come together in amazing unison to blow your mind. 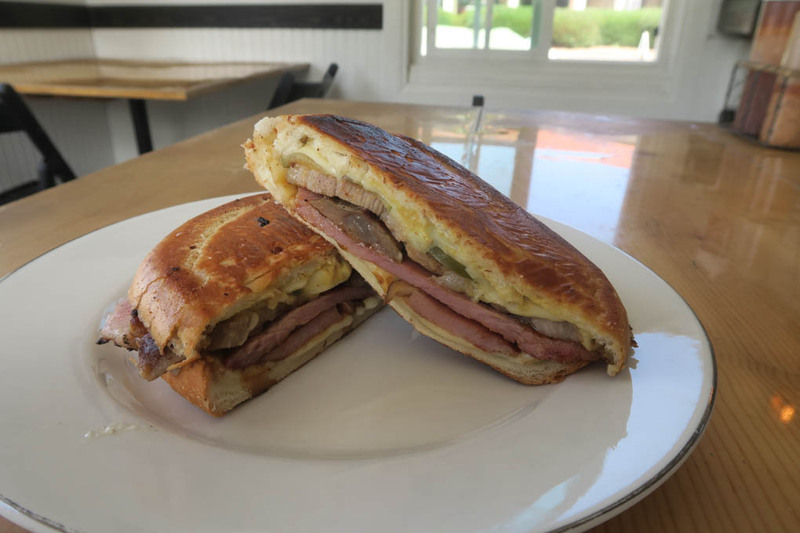 This BBQ joint can put out a Cubano that rivals any in Miami! 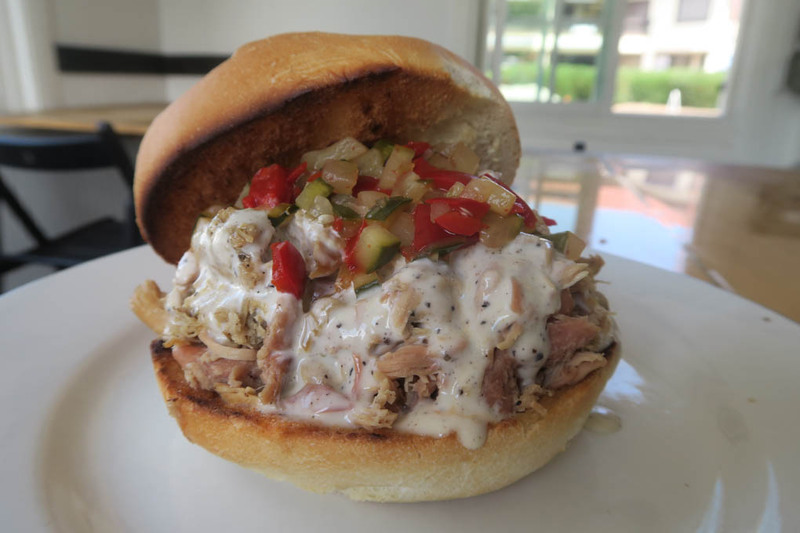 The Alabama White BBQ Chicken Sandwich made of smoked pulled chicken, white BBQ sauce and peppadew relish. 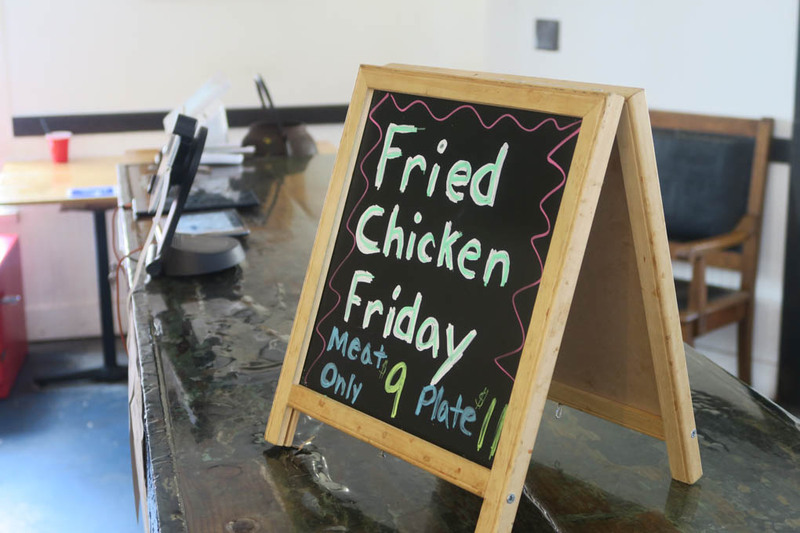 If you think chicken is a B list meat compared to BBQ ribs, think again! This sandwich with its unique white sauce is outstanding! 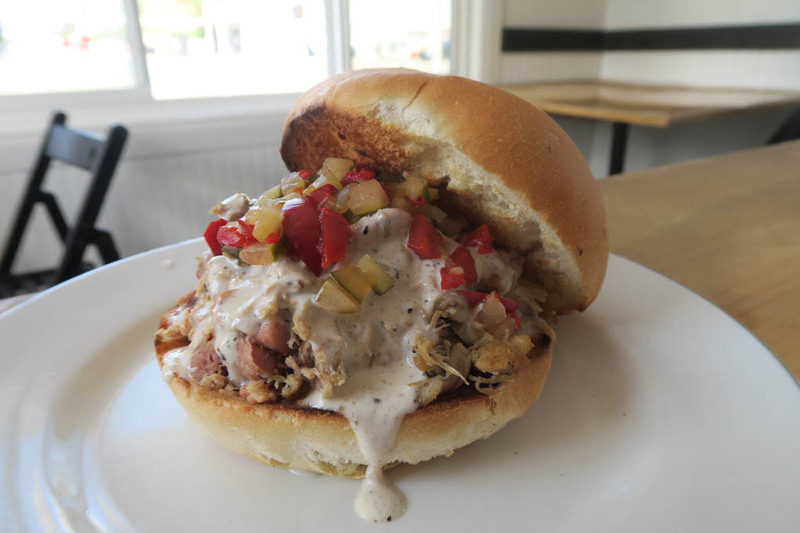 That with the tender, juicy, smoked chicken and the contrasting peppadew relish on top just takes the chicken to an entirely new level! 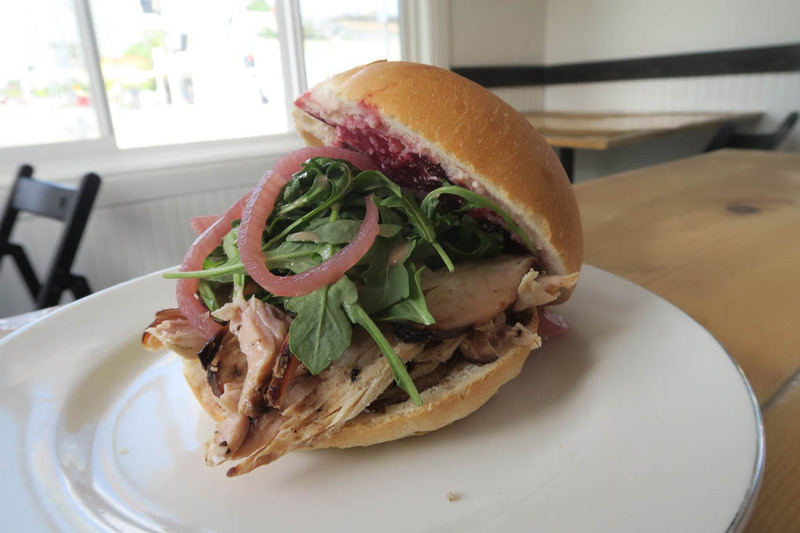 The Smoked Turkey Sandwich consisted of smoked turkey, bacon, cream cheese, cranberry sauce, pickled red onions, arugula, and red wine vinaigrette. 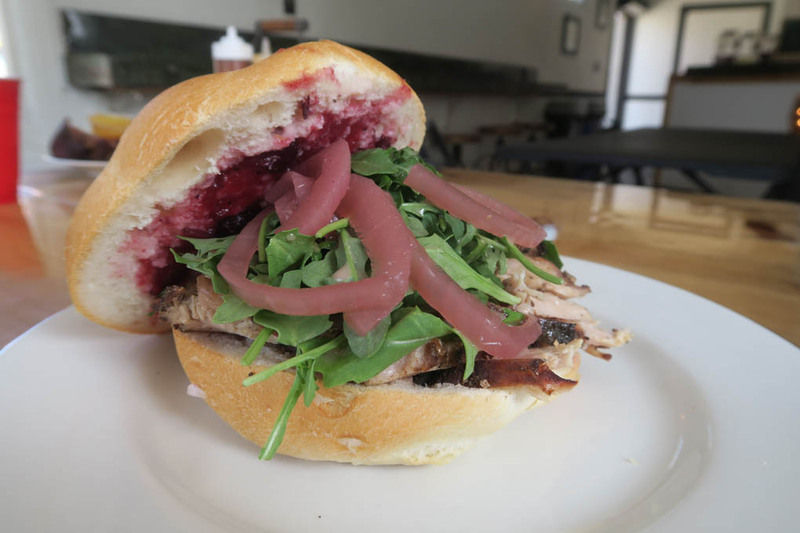 I am a HUGE fan of turkey and cranberry sandwiches! This one is right up in my top 2 lists! 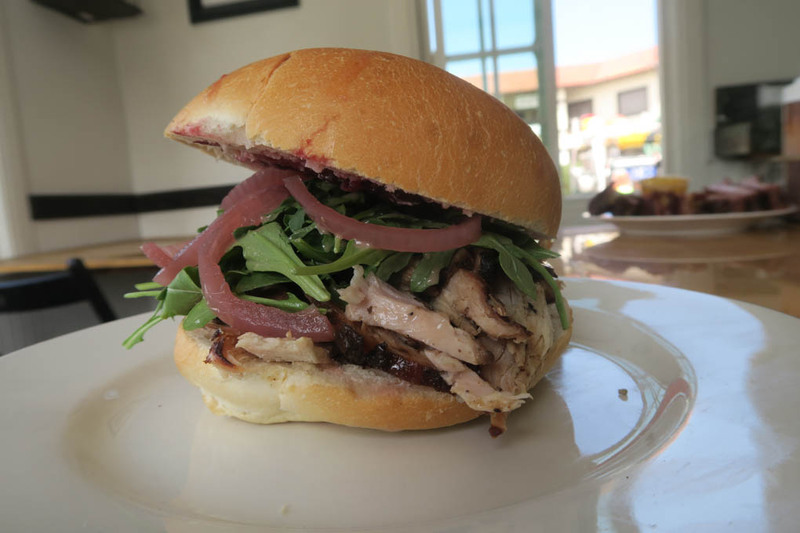 The pickled red onions and moist, smoked turkey is what really delivers on this bad boy. The cream cheese, bacon and vinaigrette also add a nice foundation to an already killer sandwich. 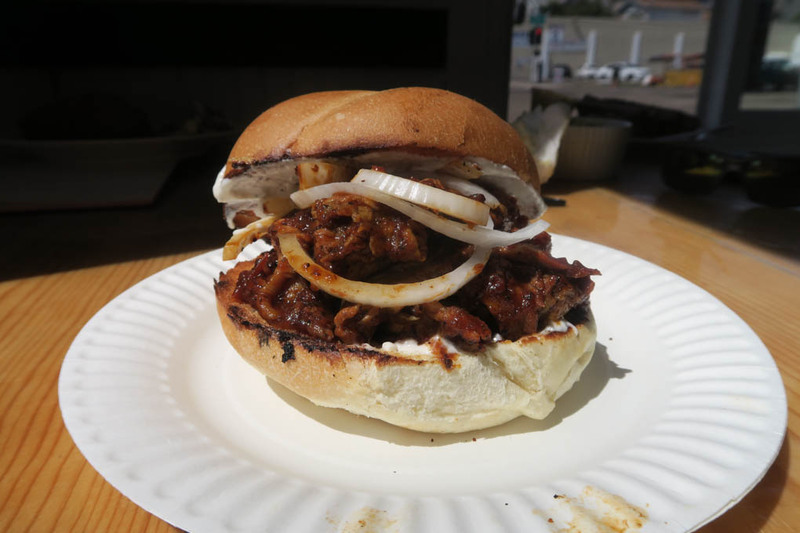 The Pit Beef Sandwich consisted of smoked eye of round, Tiger Sauce, white onions, and Baltimore BBQ Sauce. Get out your big napkins folks! This one is gonna make you work for it! But ohhh is it worth it! A generous portion of smoked, shredded eye of round stacked on a soft bolillo roll, topped with these two amazing and well paired sauces is where the money is! Super moist, dripping with delectable BBQ sauces on every bite. There’s no easy way to consume this beast of a sandwich—just dive right in! 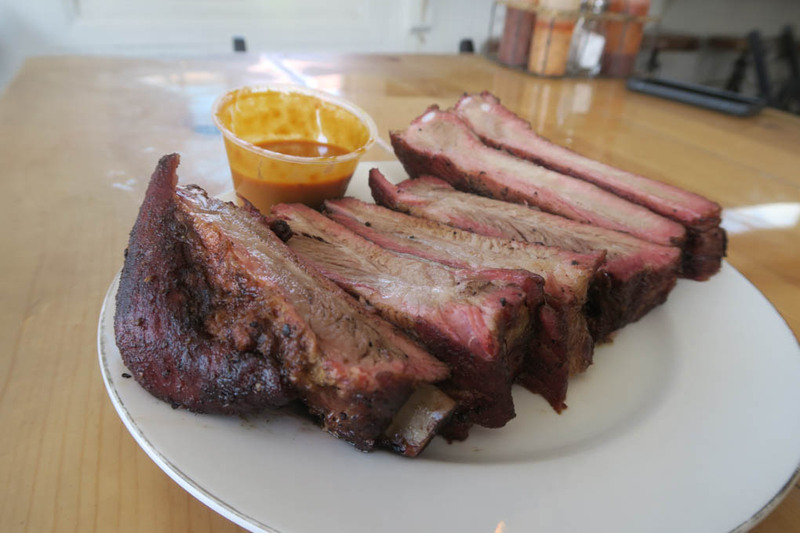 Next up were the BBQ mainstays, starting with a half rack of Country Style St. Louis cut pork ribs, smoked in house with sides of House Hog Sauce and Sweet Heat Sauce. 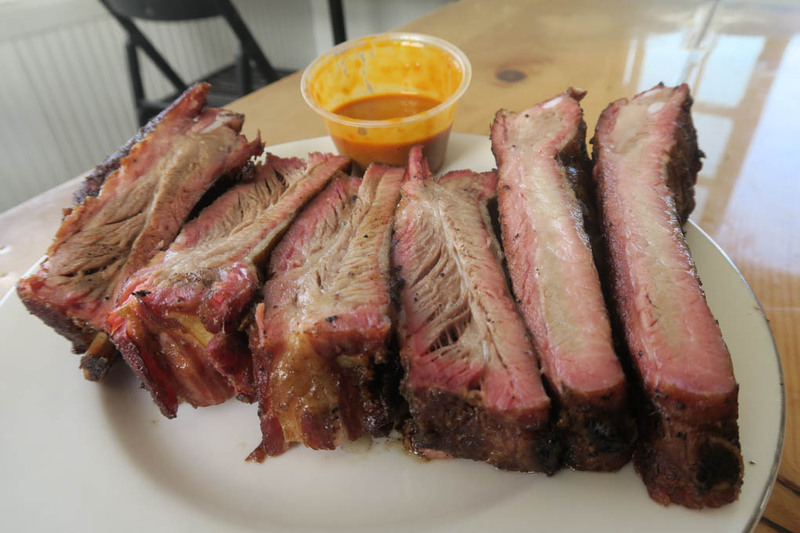 If there ever was a meat barometer to gauge good BBQ, it would be pork ribs! 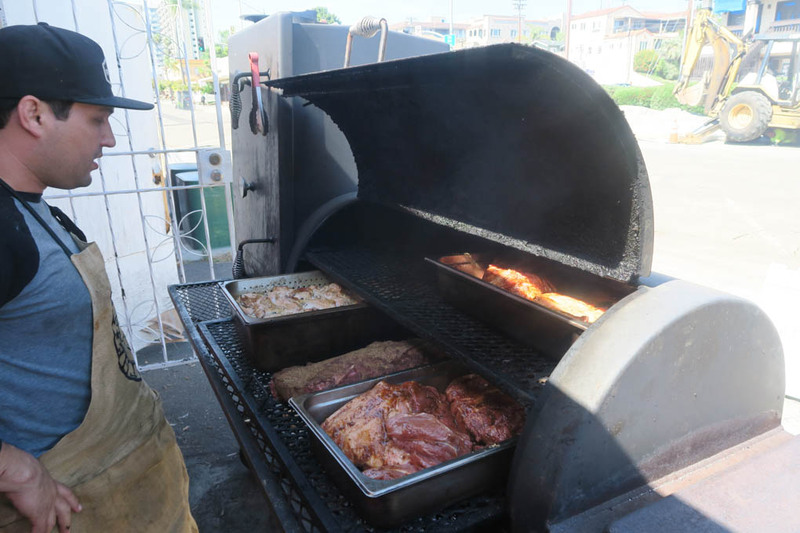 My barometer tells me we have good things coming from the smoker at Smok’d Hog! I think yours will too after trying these amazing pieces of meat! The perfect amount of white oak smoke, tender with a moist texture. It wasn’t fall off the bone tender, but almost. For beef ribs that’s a good thing, for pork ribs its best to keep the moisture in and these guys pull that off with spades! Oh, and you must be sure to use both the sweet heat and the house hog sauces on these ribs! The ribs jump from a 10 to a 10++ with the sauces, so do not skimp on those! 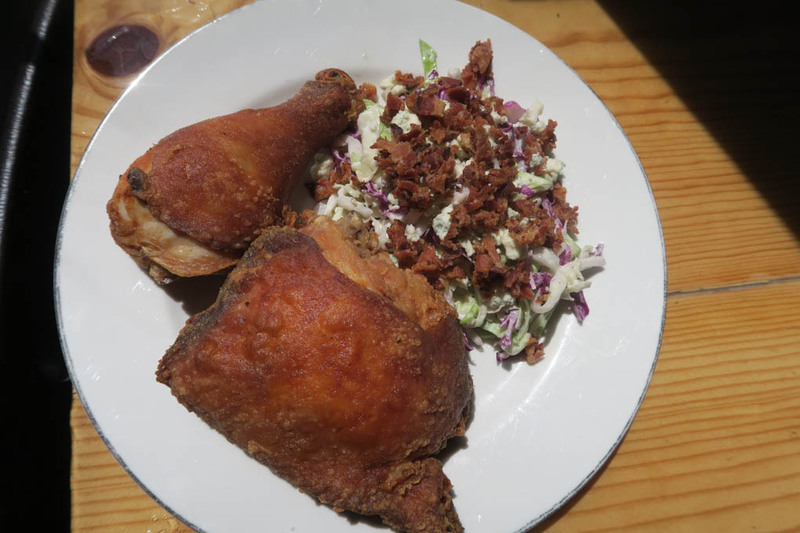 Next up was the Fried Chicken Leg and thigh. 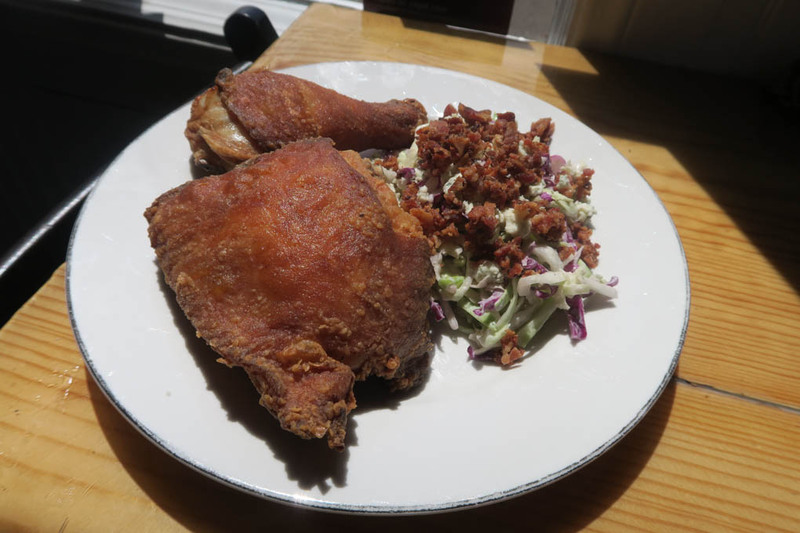 Once more the guys and gals at Smok’d Hog take a basic and simple item like chicken and bring it to another level with tactical culinary preparation methods. Slow roasted chicken that comes out super tender and flavorful. It pairs amazingly well with all the sauces they have as well! The skin is crispy and delicious! Follow this with some of that epic coleslaw and you’re in heaven! And finally, I took on the must have sides! Starting off with the potato salad. I am a huge fan of this style potato salad! They use red potatoes, a tangy mustard sauce with mayo, pork fat drippings and other key spices—which I happened to really enjoy! 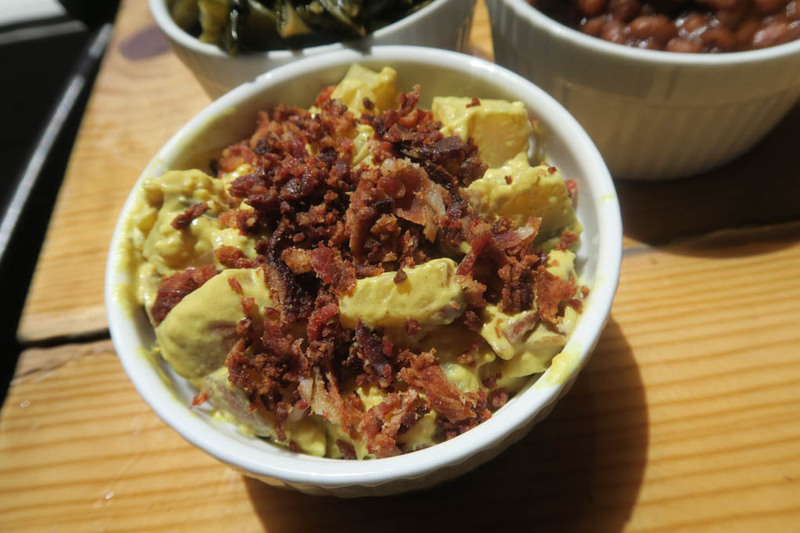 For those with a love of mustard, like me, this tater salad is for you! How do you make Coleslaw Royale? Take a great coleslaw mix, add bacon and blue cheese to it and what do you get? Royally good coleslaw! This is a perfect pairing with the meaty dishes they serve! 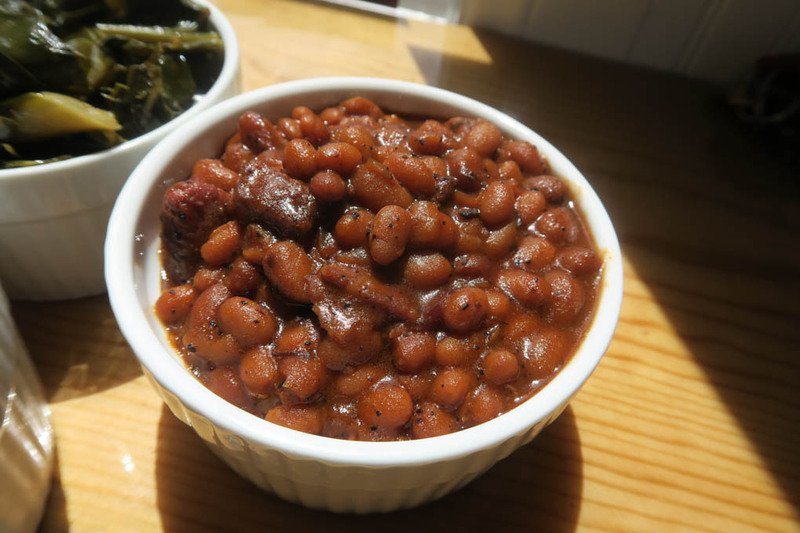 The Rib Tip Baked Beans have a deep smoky flavor which is accented with flavors of coffee, bacon and pork from other meats and rubs. A great way to harness those robust flavors and take these beans to a level of goodness that I have never experienced! The rib tip pieces are clearly seen in the beans, so you know for sure you’re getting the real thing! I swear that you’ll instantly feel like you’re a cowboy next to a fire pit when eating these bad boys! 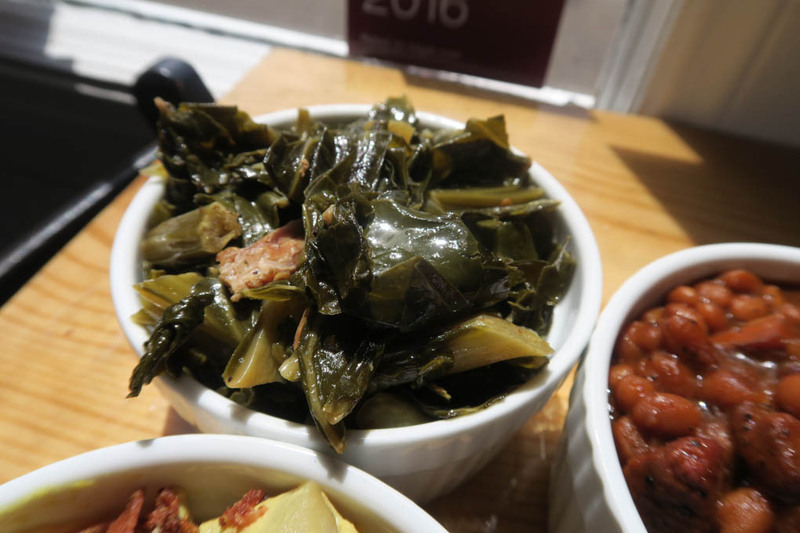 Smok’d Hog takes a basic BBQ side staple, collard greens, and amps it up with flavor by simmering it in chicken stock, bacon and pork fat drippings. 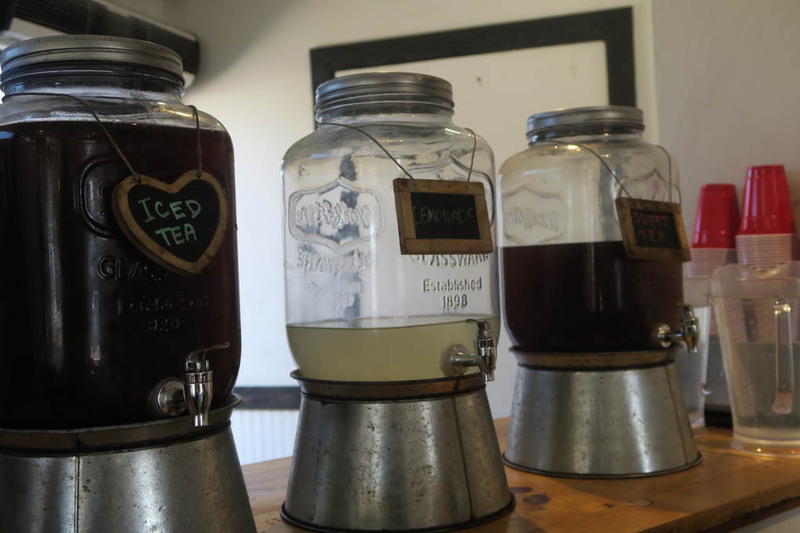 All those wonderful flavors meld together to create greens with a punch! 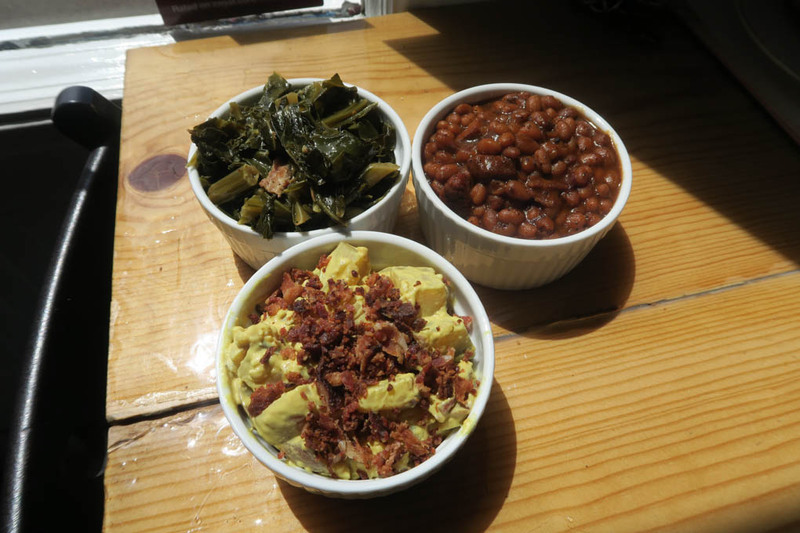 This standard BBQ side item is one of my all-time favorite sides period! I like it sweet and spicy. I like it moist and warm with some butter or jam. These guys have it down pat! 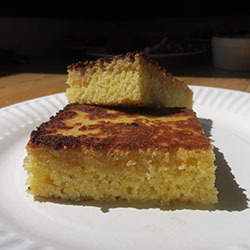 The cornbread is on the sweet side, but not too sweet. It’s warm and melty. It does not crumble in your hand or fall apart, which means it’s too dry. Nope, not here! They finish it off on the flat top with butter to add the perfect crust and finish. 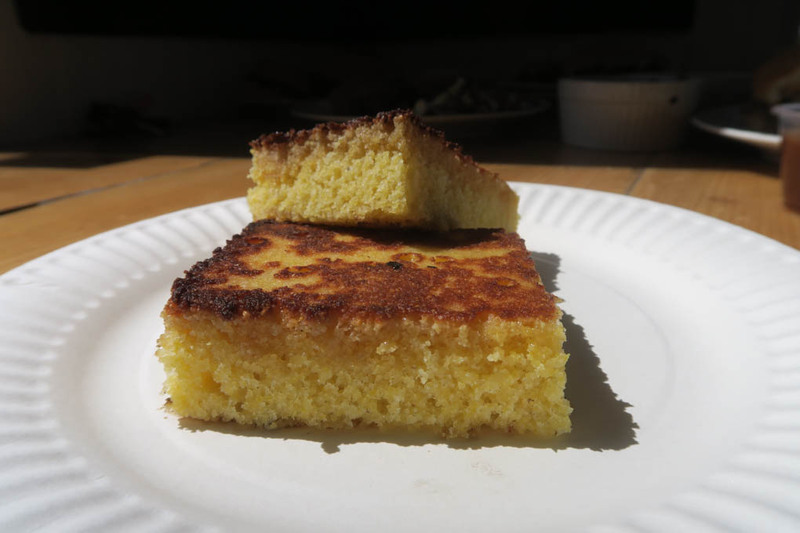 Try and crumble this over your collard greens and thank me later! Talk about a combination of goodness! 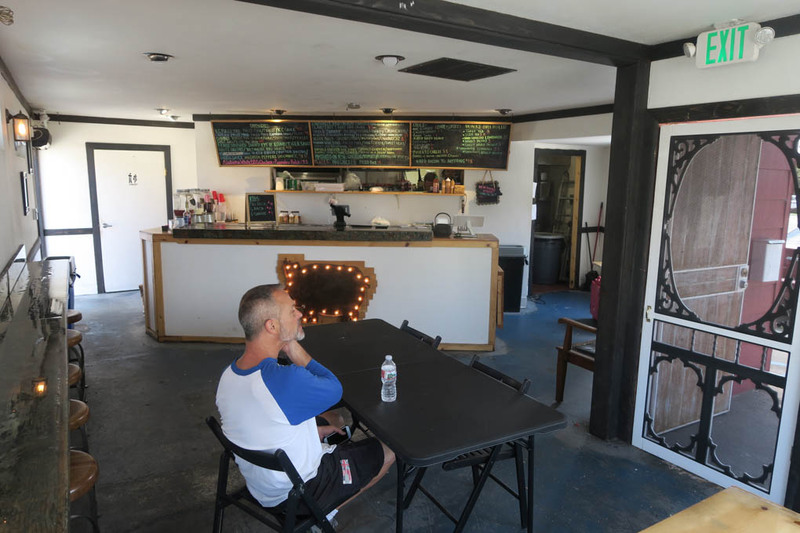 In closing, Chris and his team at The Smok’d Hog have been in business for 2 years, they have something special in the works here! 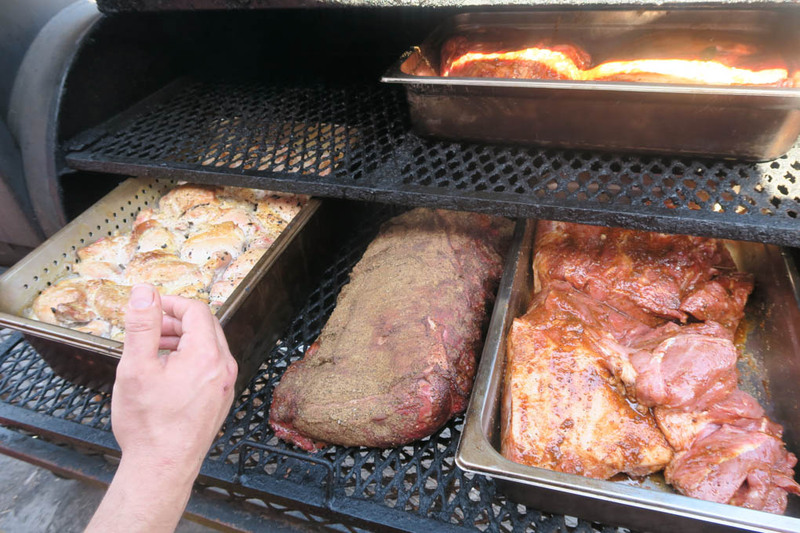 For those with any kind of BBQ propensity: wet, dry, spicy, sweet, tangy etc.—you can get it right here! 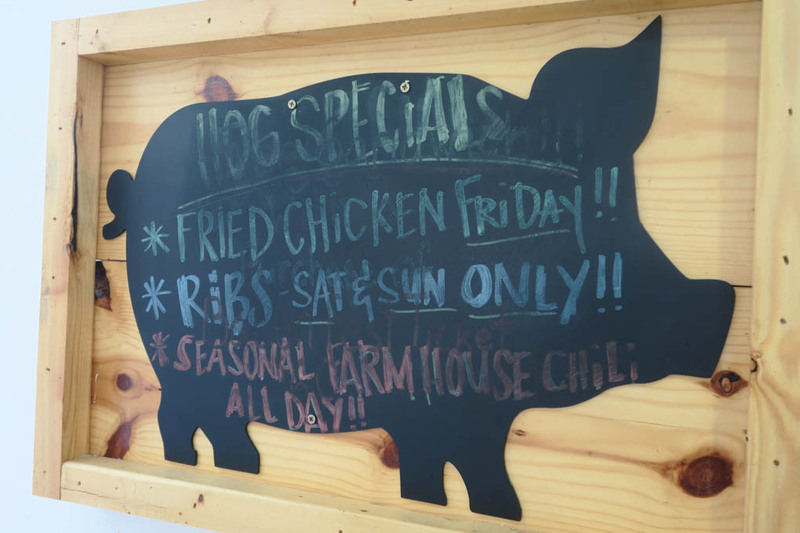 If you’re like me and have a special place in your heart, and gut, for Carolina mustard BBQ then this place is certainly for you! They love what they do, they do it well! 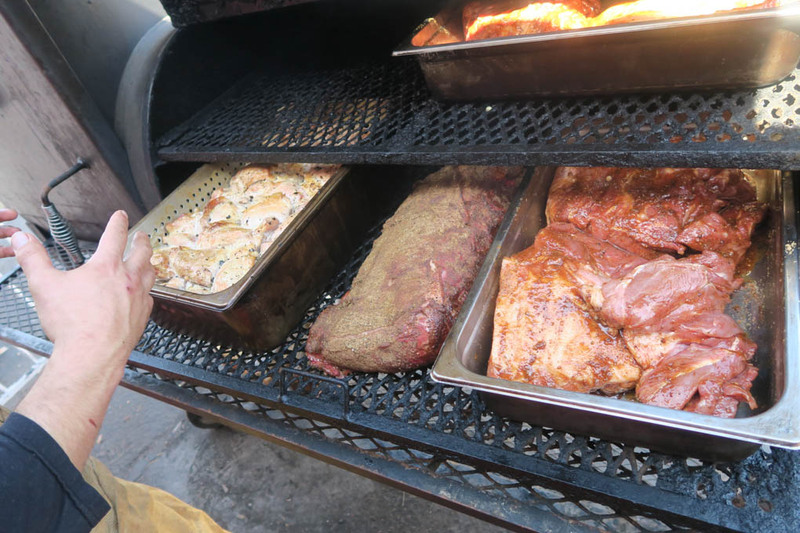 They are ready to serve you and raise the bar on your expectations for BBQ forever! Don’t believe me? 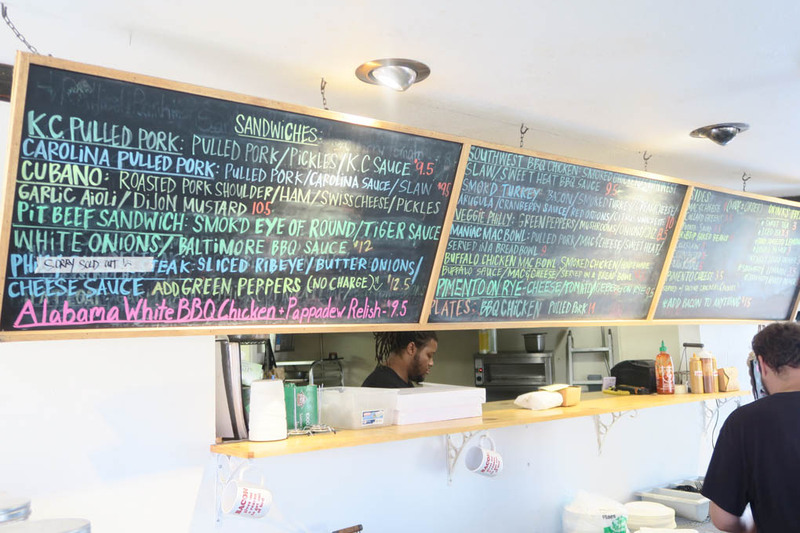 Stop in and find some truly good eats!